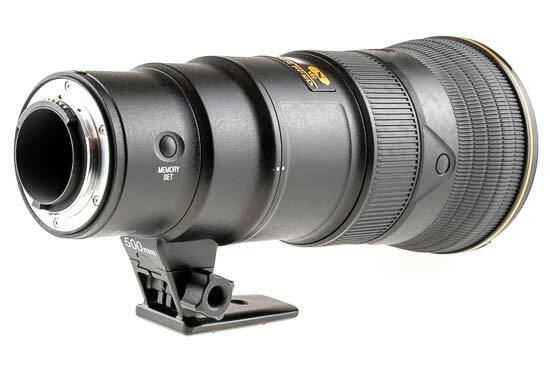 The Nikon AF-S Nikkor 500mm f/5.6E PF ED VR is a new, incredibly small and lightweight full-frame telephoto lens for Nikon DSLR cameras. 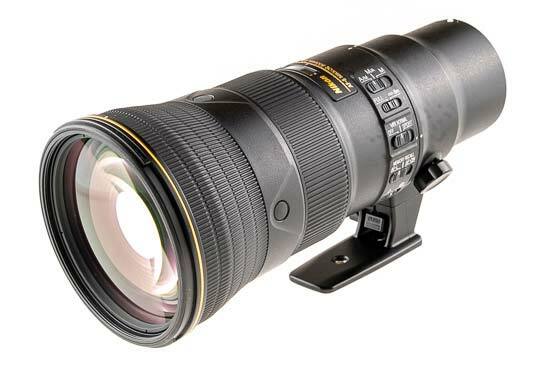 More than 39% shorter and 53% lighter than Nikon's other 500m lens, the AF-S Nikkor 500mm f/4E FL ED VR, the new 500mm f/5.6E PF utilises Phase Fresnel optical technology to help correct chromatic aberration and reduce the overall size and weight of the lens, while incorportating all of the features offered by its big brother at a much lower price point. 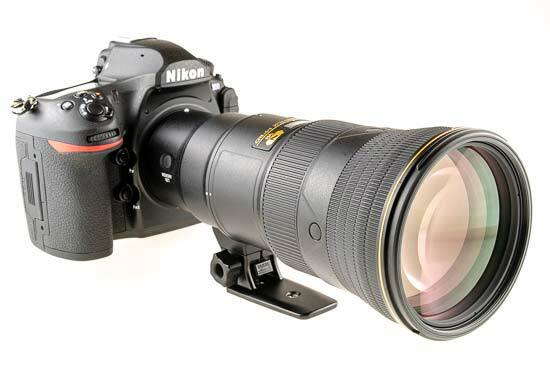 The Nikon AF-S Nikkor 500mm f/5.6E PF ED VR features electromagnetic aperture control - hence the E designation in the product name - a VR Sport mode, VR tripod detection as well as a Silent Wave Motor for quiet AF operation, ED glass for further controlling chromatic aberrations and a Nano Crystal Coat for superior image quality. The optical formula comprises 19 elements in 11 groups and a 9-bladed iris diaphragm. 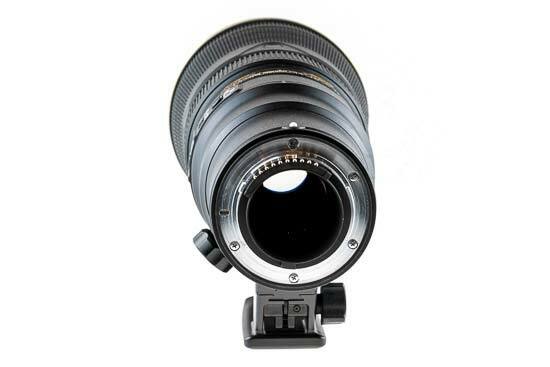 The lens takes 95mm filters and offers a minimum focus distance of 3.0m. 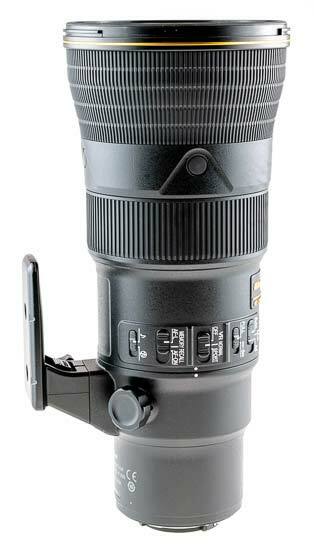 The Nikon AF-S Nikkor 500mm f/5.6E PF ED VR is available for £3699.99 / $3596.95 in the UK and US respectively. 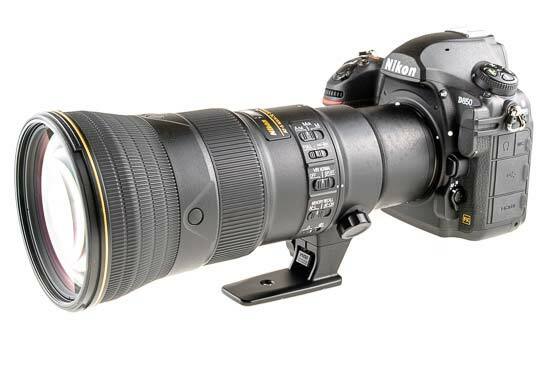 Weighing in at 1460g, the Nikon AF-S Nikkor 500mm f/5.6E PF ED VR is currently the World's lightest 500mm full-frame fixed-focal-length AF lens. 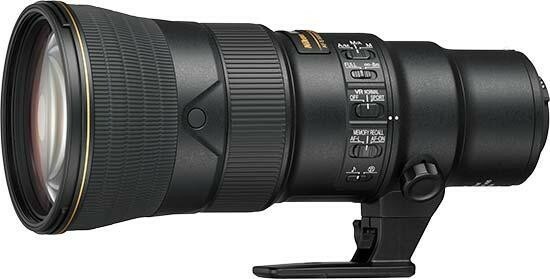 Compared to the slightly faster Nikon AF-S Nikkor 500mm f/4E FL ED VR lens, it's less than half the weight, a pretty incredible achievement. 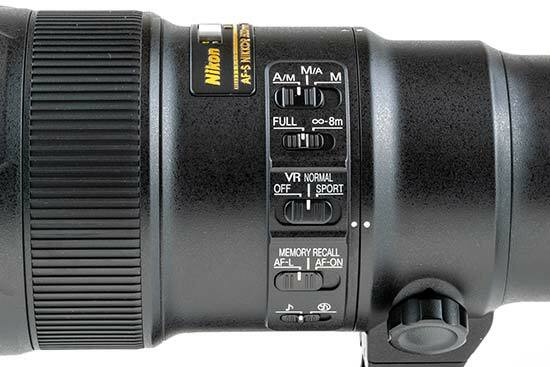 It's also the latest Nikkor to combine a Phase Fresnel element with conventional refractive lens elements to deliver superior chromatic aberration compensation. 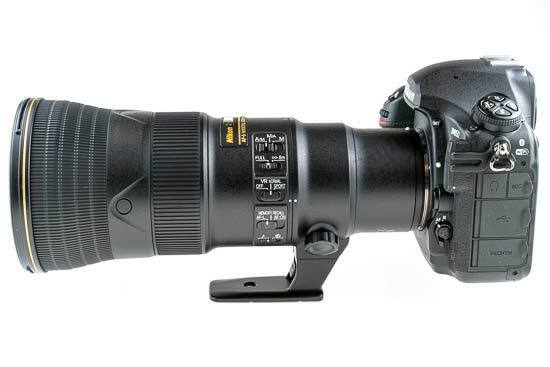 The AF-S Nikkor 500mm f/5.6E PF ED VR lens is surprisingly compact for a 500mm FX prime – a full 150mm shorter than its brother, the AF-S Nikkor 500mm f/4E FL ED VR. 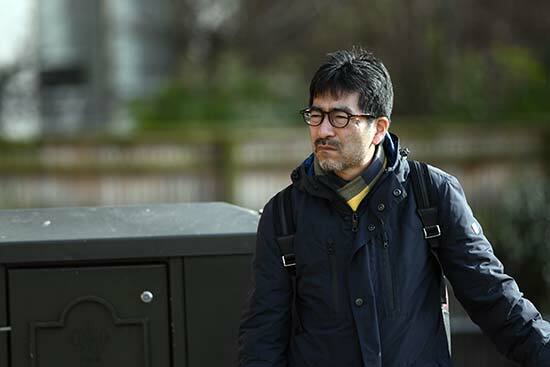 In fact it is not much longer than the company's 70-200mm f/2.8 standard zoom, and balances well on the Nikon D850 full-frame SLR camera that we tested it with. The overall build quality is very good – the lens feels solid yet lightweight in the hand. 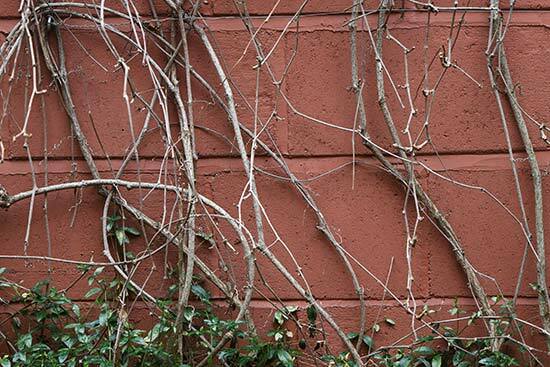 In terms of features, the lens has quite a lot to offer. For starters, it comes with Nikon's Vibration Reduction (VR) technology on board, with Normal and Sport modes on offer. 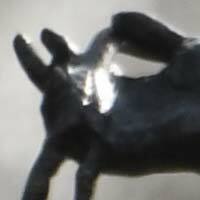 The latter mode allows the camera to shoot at a faster frame rate to help capture fast-moving subjects. There's also a focus limiter switch with two options, Full or 8m-Infinity, giving you the option of the full focus range from infinity down to the 3m minimum focus distance, or you can select the infinity to 8m option to help prevent focus hunting when shooting distant subjects. The three-position auto-manual focus switch changes the focus modes between M/A (autofocus with direct manual override), A/M (the same, but the focus ring needs to be rotated further before manual focussing is activated, in order to prevent accidental focus changes), and the third M selector position enables full manual focus. The front third of the lens barrel is covered in a fixed rubber grip, and immediately behind this are four buttons located on the right, left, top and bottom of the barrel. These are the Focus Function buttons and can be used to control three possible functions, determined by the Focus Function Selector switch. With the switch set to ‘AF-L', pressing any one of the Focus Function buttons will activate the focus lock when using autofocus. Slide the selector switch to the middle, ‘Memory Recall' position, and the buttons can be used to focus the lens to a pre-stored focus position. Finally, the AF-ON setting on the Focus Function selector switch enables the Focus Function buttons to simply focus the lens if you'd prefer not to use the controls on the camera body. The bottom two selector switches include the aforementioned Focus Function Selector, and the beep on/off switch. 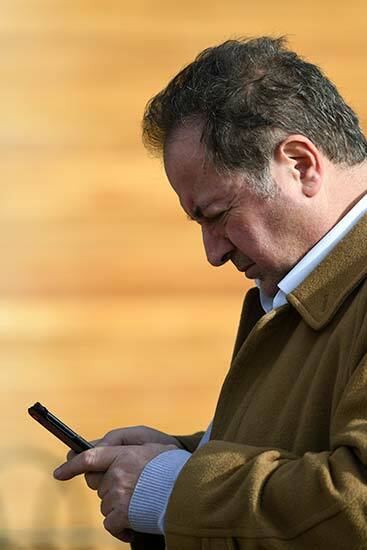 With the latter set to the ‘beep enabled' position, focus on your subject and press the Memory Set button right at the back of the lens, alongside the filter holder, and the lens will store that focus position. It can then be recalled using the Focus Function buttons when the Focus Function Selector is set in the Memory Recall position. There is a distance scale sheltered behind a window, but there are no depth-of-field marks or infrared focus index on offer. The aperture ring has also gone missing, although you won't actually miss it unless you want to use this lens on a really old film SLR body. 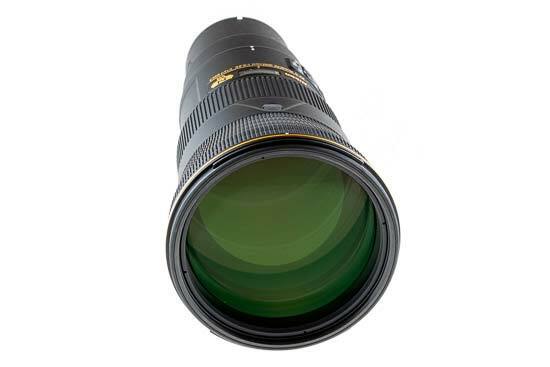 The Nikon 500mm F5.6E has an electromagnetic aperture mechanism; hence the “E” designation in the product name. The tripod collar allows for smooth switching between horizontal and vertical orientation, which can be changed by unscrewing the clamping knob located on the left side of the collar. The ridged, 27mm wide focus ring is located near the front of the lens, and rotates smoothly with a throw of 135 degrees. Focusing is fully internal, meaning the physical length of the lens does not change, and the filter thread does not rotate on focus. 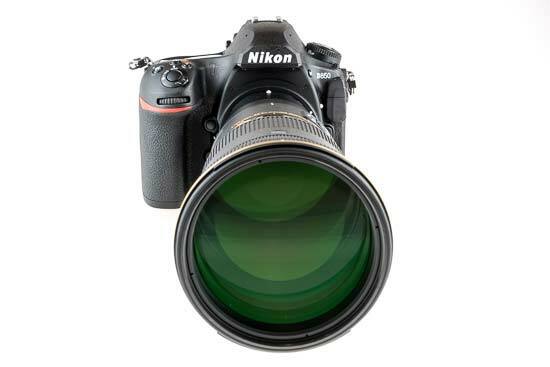 The Nikon 500mm F5.6E takes standard 95mm filters. 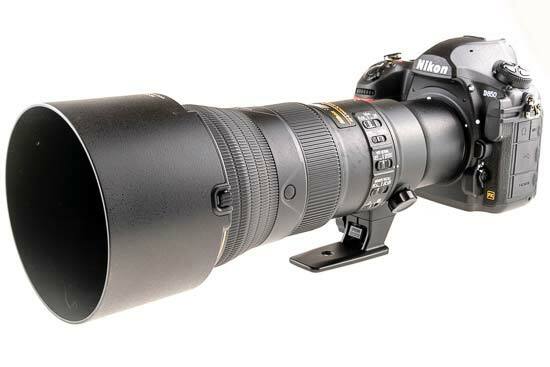 The Nikon 500mm f/5.6E PF ED VR lens has a Silent Wave Motor (SWM) that promises fast and quiet auto focus operation. 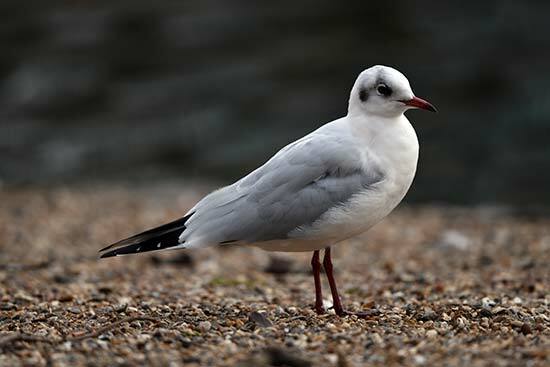 In use, we have found it to be a reasonably quick performer. 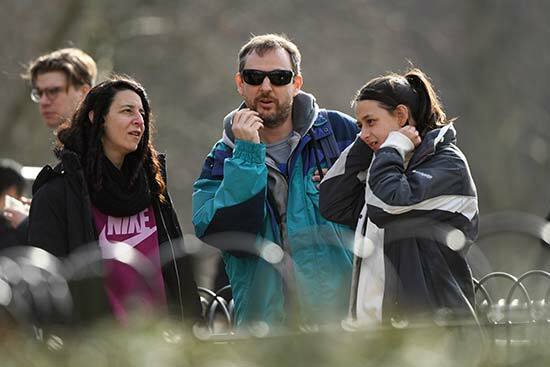 That being said, if your subject is further than 8m away it's well worth turning on the focus limiter to avoid unnecessary hunting and speed up focus acquisition. 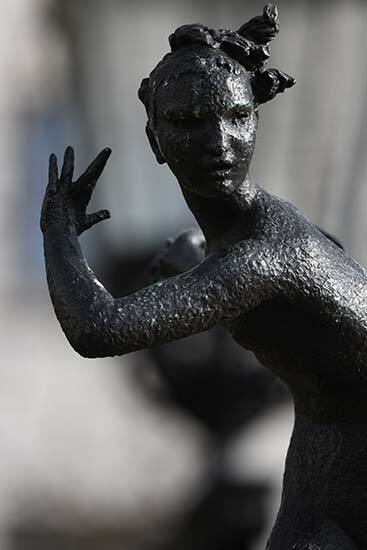 Manual focusing is a largely pleasant experience thanks to the wide and tactile focus ring that has a generous amount of travel between the close-focus point and the infinity setting. The front lens element does not rotate on focus, making the use of polarisers and graduated neutral density filters that much easier. The lens mount is of course made of metal, and features a rubber gasket that provides a degree of protection against dust and moisture. 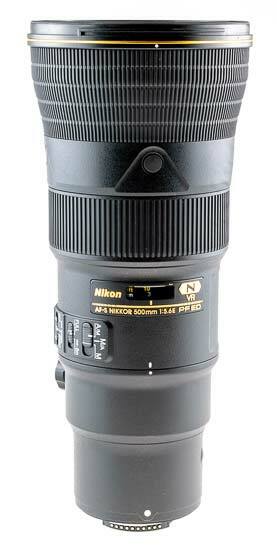 The Nikon AF-S Nikkor 500mm f/5.6E PF ED VR comes with a HB-84 bayonet-mount lens hood as standard. Mounted to an FX camera body, the lens has a diagonal angle of view of 5°00'. Chromatic aberrations, typically seen as purple or blue fringes along contrasty edges, are very well controlled on this lens, thanks to the Phase Fresnel element and other special lens elements employed. The examples below show what you can expect in the worst case. 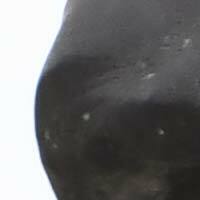 When used wide open at f/5.6, the Nikon AF-S Nikkor 500mm f/5.6E PF ED VR suffers from a fairly heavy dose of corner shading. 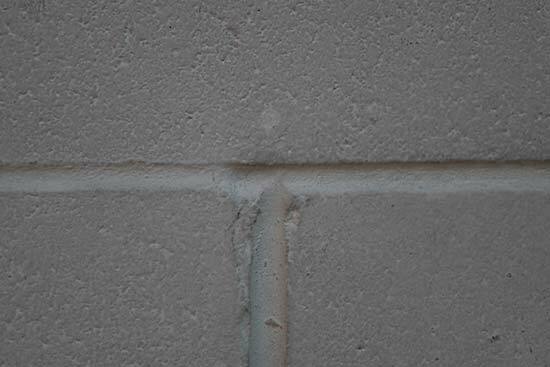 This improves upon stopping down – by f/11, the vignetting is completely gone. 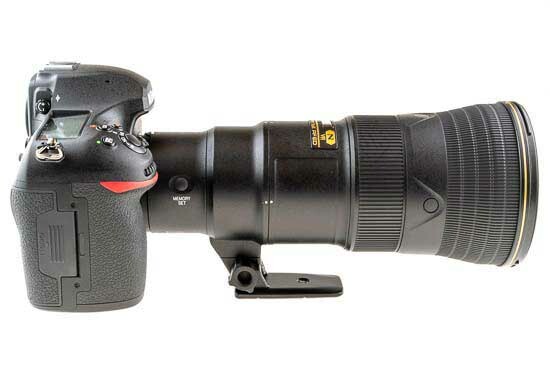 The Nikon AF-S Nikkor 500mm f/5.6E PF ED VR is not a macro lens. 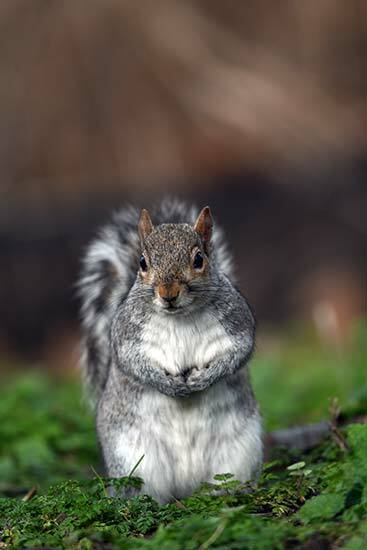 The minimum focus distance is 3m (9.8ft), and the reproduction ratio is 0.18x. This does enable users to capture decent close-up shots, but for true macro photography you will need a dedicated macro lens. 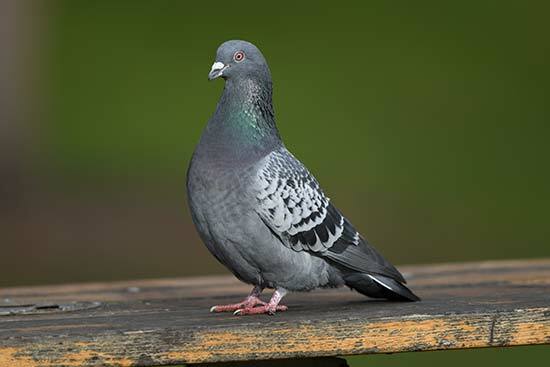 The following image demonstrates how close you can get to your subject – in this case, a CompactFlash card. Bokeh is a word used for the out-of-focus areas of a photograph, and is usually described in qualitative terms, such as smooth / creamy / harsh etc. In the AF-S Nikkor 500mm f/5.6E PF ED VR, Nikon employed a diaphragm with 9 rounded blades, which resulted in a nice bokeh in our view.